We offer hassle-free collision repairs with a Lifetime Guarantee! Chandler’s Collision Center is fully assured of the work we do. We back this with a Lifetime Warranty on all our repairs. When your vehicle is repaired by us after a collision, we will return it to you with confidence that your vehicle has been restored to its pre-accident condition. Your vehicle plays an essential role in your life. It gets you where you need to go and doing all of the things you love. Being without it after an accident causes a major disruption to your lifestyle. 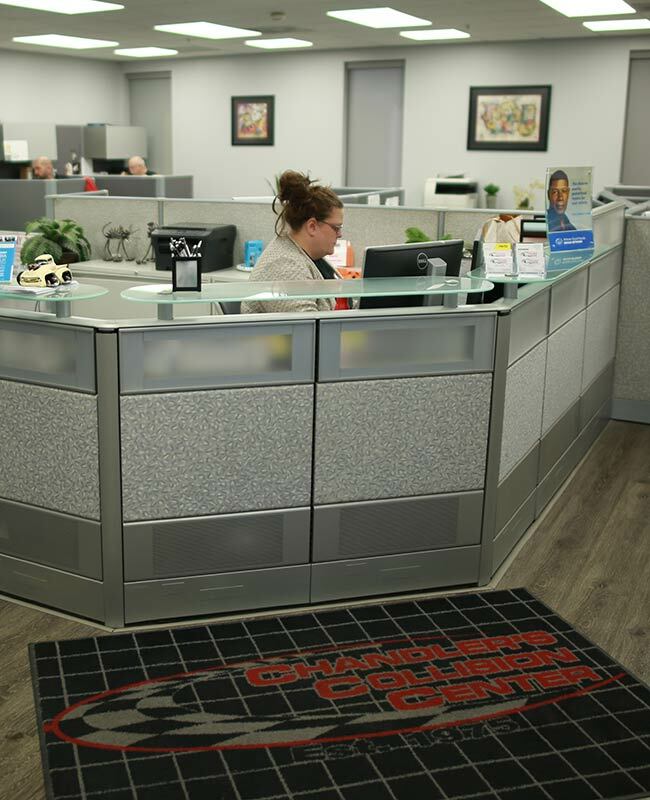 Chandler’s Collision has certifications from Assured Performance and ProFirst, showing our commitment to restoring your vehicle correctly and safety. 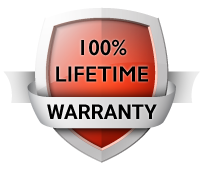 We back this up with our Lifetime Warranty on all repairs. We recognize the importance of knowing the cost of repairs to your vehicle. That’s why Chandler’s Collision Center offers free estimates, helping you through the process as seamlessly as possible. 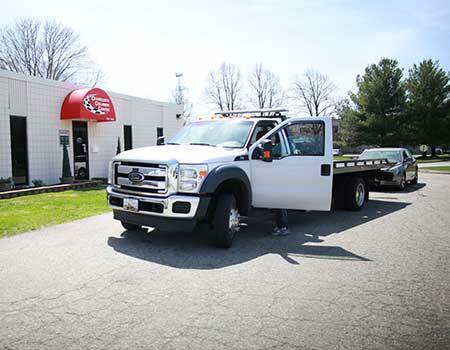 Chandler’s Collision Center has been part of the Columbia, Maryland area since 1975. We’re family owned and operated and trusted in the community because we understand how important your vehicle is to you and your family’s lifestyle. We will continue to provide quality body shop repairs to the Columbia community for many years to come. Thank you for the great care you took of our Chevy Cruz. 1. Friendly and helpful people. 2. Willingness to provide information. 3. Prompt Service. 4. The car looked better then when we bought it. You even washed it and cleaned the inside. 5. We are highly impressed with how you run your business. 6. We recommend you anytime. 7. Thanks for the lovely card. Chandler’s did an outstanding job on fixing my van. Stacie kept me informed daily about the progress of the work. Stacie was very pleasant and professional. I will recommend Chandler to all my friends. Receiving the emails on the status of my car was very satisfying. It eliminated the need to call and inquire. Stacie was very helpful in explaining how the process works when picking up my car. Justin was extremely efficient in making sure my car operated correctly when I picked up my car. Highly satisfied. 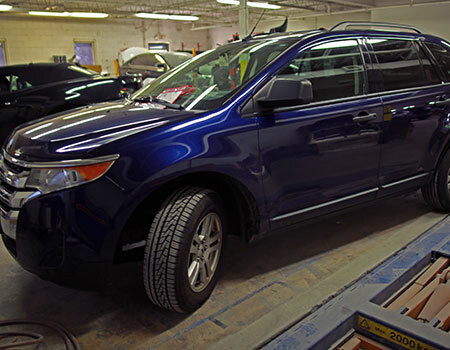 The repair of your vehicle requires experience, knowledge and skill. That’s why Chandler’s Collision Center backs up our 25 years of auto body shop repair experience with the highest certifications the industry provides. Through our I-CAR Gold Class, ProFirst and Assured Performance Certifications we have received training that will keep us up to date with the latest technology on today’s vehicles. We work with all insurance companies to provide a service that is hassle-free. We’re proud to be part of the State Farm Select Service® network, Nationwide On Your Side Repair Network, an Allstate Good Hands Network Approved Body Shop and a member of Liberty Mutual’s Guaranteed Repair Network. Our many years of experience working with insurance companies can help you through the process of insuring a quality repair. You don’t have to feel alone after an accident. Contact Chandler’s Collision Center and we will begin the process to repair your vehicle and get your life back to normal. From towing your vehicle, assisting with claims, to the repair itself; we will keep you informed through the entire process.